We offer incredible floating and walk-wade full day trips, in addition to half-day trips, for anglers who want to experience the joys of Wyoming Fly Fishing. We guide on the Green, New Fork, Salt and Snake Rivers for our Full Day Trips and our Jackson Hole Fly Fishing Half Day Trips can be taken on either the Snake River or Flat Creek. These trips are perfect for the seasoned angler or those who are looking to learn, practice or have limited time. Immerse yourself in the landscape on a full day walk-wade trip. Full-day walk-wade trips are perfect for people who like to hike or are methodical anglers who like to work a specific hole for hours. We offer walk-wade trips on Flat Creek or at Red Rock Ranch near Jackson and in the Wyoming backcountry. We provide lunch, you focus on fishing. Spend a day on the water. Our full-day float trips are perfect for big rivers or high water. We cover a lot of water in our boats. These trips are also best for seeing wildlife that frequent river banks. If conditions allow we can get out and wade. We provide lunch, you focus on fishing. An introduction to fishing western Wyoming waters with a beautiful hike. 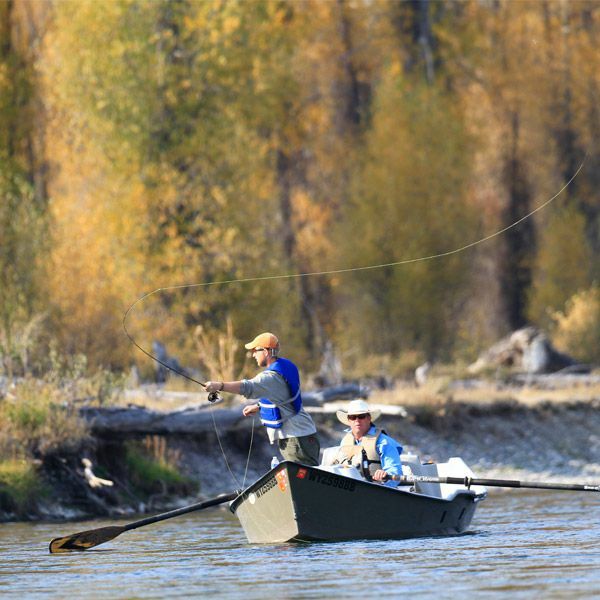 Our half-day walk-wade trips on Flat Creek – located just minutes from downtown Jackson – are perfect for people with limited time, that still want a taste of Jackson Hole’s famous fly-fishing. With easy access, our half-day walk-wade trips take you along the banks of beautiful Flat Creek for an introduction to fishing the area that leaves you plenty of time for other activities. A mini-adventure for those strapped for time. Our half-day Snake River float trip is perfect for people looking to maximize time in Jackson, WY. From the boat, we’ll watch for wildlife along the river banks while casting for trout. 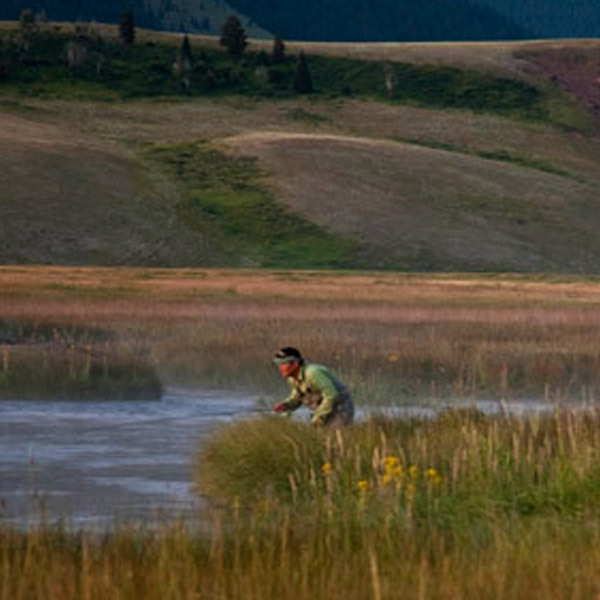 This mini adventure offers an introduction to western Wyoming fishing, while allowing you time for other activities in the area. What you’ve always heard of catching the BIG BROWNS AT NIGHT IS RIGHT!!! You’ll get on the water before dusk which can produce some amazing dry fly action. Then as the sun sets and the darkness sets in you’ll start mousing! This trip is best from the week after the full moon until the week before it gets full once again. If you’re looking for an amazing adventure and the chance of a fish of a lifetime then this is the trip for you!